What Is Acral Lick Granuloma? 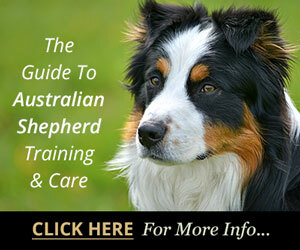 Home > Australian Shepherd Health > What Is Acral Lick Granuloma? 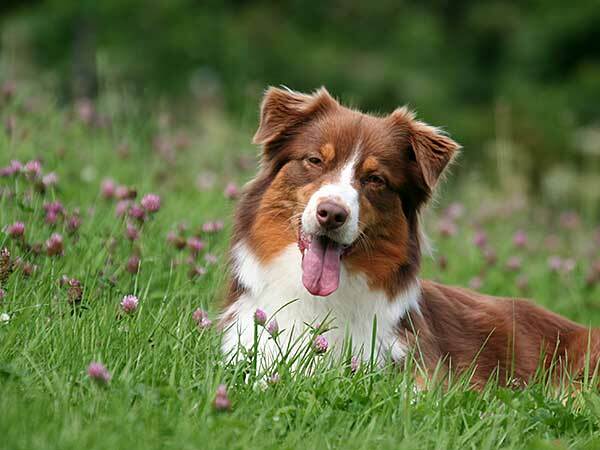 Acral lick granuloma, also known as canine lick granuloma or acral lick dermatitis, is a common and frustrating problem that can affect any breed, including the Australian Shepherd. It stems from an obsessive tendency to continuously lick one area of the body, usually one of the lower legs, until the fur is worn away and a sore spot develops. The granuloma may start out as a very insignificant looking tiny spot, but if the licking continues the spot will grow and worsen over time. This is one of the more regular complaints that veterinarians treat, and it can be one of the most difficult, as it is nearly impossible to target a specific cause or to stop the licking habit once it has started. The best thing you can do is try to head it off before it becomes too serious. 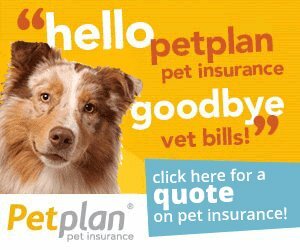 If you notice your dog regularly licking one spot on his body, take him to the vet so that a diagnosis can be made and the vet can make suggestions for treatment. There can be many causes for acral lick granuloma, including a response to an allergic reaction that triggers itching, a foreign body such as a bee stinger or splinter irritating a spot on the skin, bone or joint pain in the limb or even a case of hypothyroidism. 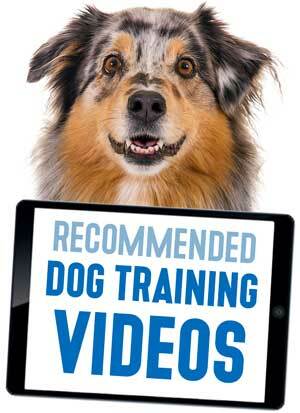 In any of these instances, licking may be an attempt on the dog's part to relieve the itching or pain. In these cases, treatment may involve medications to relieve the underlying condition or removal of the foreign body causing irritation. 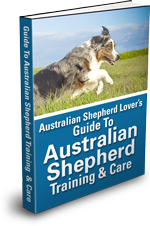 Be alert to your Aussie focusing on a particular spot with continual licking as it could be the first sign of acral lick dermatitis. In other cases, the connection from cause to treatment is not as direct. In these instances, the cause is more psychological than physical. Separation anxiety or anxiety caused by the introduction of something new into the dog's environment, such as another pet or a child, can cause stress. Another dog invading your dog's territory can also be stressful. Many times, dogs will respond to this stress by licking a specific spot as a sort of comfort reaction. Yet another potential cause for acral lick granuloma is boredom. 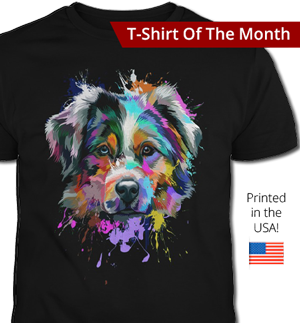 This can be particularly true for high-energy breeds like the Australian Shepherd that require a significant amount of regular exercise. If they don't get the stimulation they need on a regular basis they may choose to expend that excess energy by licking or chewing on their own limbs. In these cases, it may be more difficult to find a treatment that works. This work is licensed under the Creative Commons Attribution-ShareAlike 3.0 License. Original file. Created by User:Caroldermoid, modified by User:Rotatebot. This version is cropped. 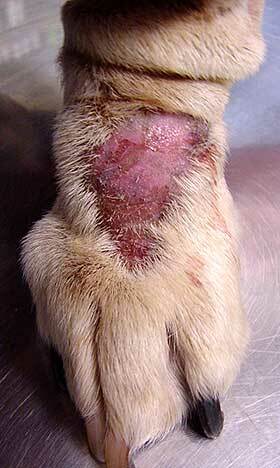 Canine lick granuloma will spread and worsen if it is not addressed. Many treatments have been employed, but most with only limited success. Covering the affected area may seem like an obvious answer, but it may just lead the dog to lick another spot instead or they may return to licking the same spot once it's uncovered. Anti-anxiety drugs may have some effect, but not enough to call them a cure. The most effective treatments seem to be long-term antibiotics and cortisone topical creams. 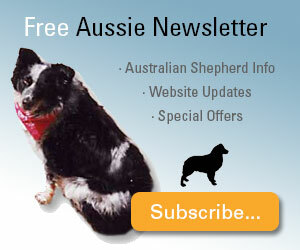 Some vets have also had success with laser ablation, which vaporizes the diseased tissue and speeds up healing. There is almost no way to prevent acral lick granuloma but if your dog does develop this condition, don't fret. 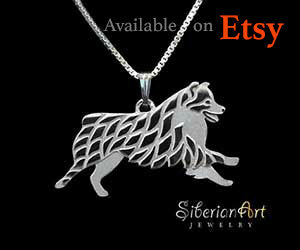 Get him to the vet as quickly as possible for a proper diagnosis and treatment before the condition gets any worse. 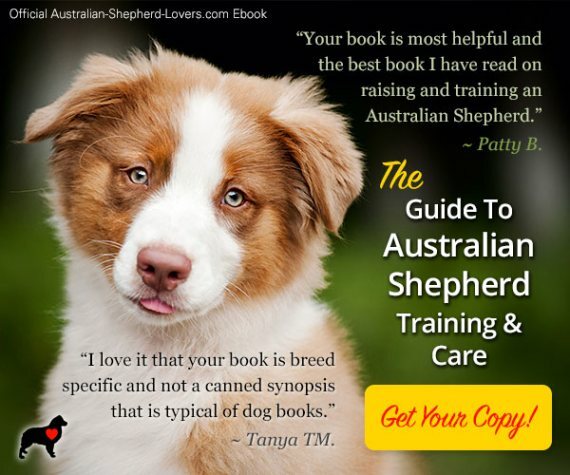 And remember, if you're dealing with an Aussie or another high energy breed, try and keep him stimulated as much as possible to keep boredom from setting in!